Originally from Virginia, maestro Eric Hayslett moved to the New York City metro area four summers ago and has since become actively involved in the metropolitan area’s community music scene. He currently performs regularly with the Queer Urban Orchestra (QUO), the Brooklyn Symphony Orchestra, the Richmond County Orchestra, New York Opera Exchange. He is also a former member of the pit orchestra for the Broadway show Addams Family. ​Having studied at James Madison University for undergraduate studies in music education, Eric graduated in 2012 with a master’s degree in music education from Boston University. His prominent conducting tutors include Dr. Robert McCashin, Director of Orchestras at James Madison University, and Mark Russell Smith, Music Director of Quad City Symphony Orchestra and Director of orchestra studies at University of Minnesota. Eric is a founding member and former Music Director of the Richmond Chamber Winds Society and former conductor of the European Wind Ensemble, both based in Richmond, Virginia. In his spare time, Eric is an active composer and arranger for youth orchestra and wind band literature. Eric currently is the Director of Choirs at Irvington High School in Irvington, NJ, where is currently fostering a choral program and a guitar studio. Bo is an active teacher, clinician, and freelance musician in the New Jersey and New York areas. Bo Park is currently employed at Irvington Public Schools alongside Eric Hayslett, where he works to provide the under-privileged student population a unique opportunity for self-expression through music in the high school level. When not working as a teacher, Bo is playing trombone for the local community bands, musicals, orchestras, drum corps, and other musical functions. 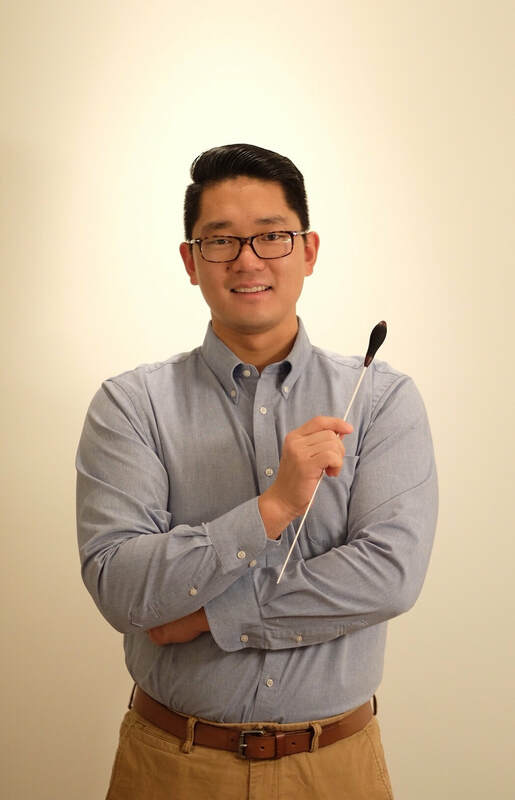 Bo Park is also busy as a clinician and travels to high school around New Jersey for his expertise in Brass Pedagogy. Our Treasurer, Gaby Khoury, is a recent graduate of Stevens Institute of Technology with a Bachelor of Engineering degree in Civil Engineering, and is currently working on his Master of Science in Construction Management. His administrative experience yields from working as an assistant at the Elysian Charter School, becoming Treasurer/Business Manager and Editor-in-Chief of the Stevens yearbook, The Link, and serving as treasurer of his fraternity, Chi Psi. During Litha Symphony Orchestra’s 2016 Season, Gaby volunteered as Bar Manager, managing the orchestra’s beverage sales. He looks forward to serving as Litha Symphony Orchestra’s Treasurer and further expanding LSO’s community outreach and fundraising.